The origins of Master Kush are classic but reliable: a Kush, a Skunk and an Original OG (quite similar to those of the Dutch classic). This outstanding, vigorous marijuana plant can assimilate constant fertilization thanks to its strong root system, which leads to a solid structure that favors the development of huge buds. It is advisable to monitor its growth indoors and it will grow wonderfully outdoors in temperate and Mediterranean climates or in the shelter of a greenhouse. However, it is important to bear in mind that it is sensitive to moisture. Master Kush has a quite common aroma, similar to citrus fruit and exotic goods. The flavor is delicious and intense, filling your mouth with lemony, earthy and spicy notes. Its strong, long-lasting effect is mild and deeply relaxing. For Indica lovers. Amazing strain feels like it’s growing super fast and smells so potent! Master Kush by HSO is so sweet you will wish you didn’t get these seeds last year. They are truly gifted at what they do. I am now a fan for life when it comes to their strains. Couch hitting strain right here. One hit wonder. I purchased master kush seeds,very impressed.nice sized fem seeds.all popped.excited I grew OG last summer and it was a beautiful giant!Cannot wait to see my girls grow.thanx humbolt.great quality of packaging.A very happy Canadian gal. Very dense plants . Huge fan leaves and i can tell already that shes going to get huge! This strain tastes very, very nice indeed! The buds are lovely and sticky, with a sort of citrus and spice combo, followed with a lime aftertaste. I love it, and will be buying more seeds very soon. The effect is quite trippy and very relaxing, but without any lazy-ness. Great strain. Excellent high quality seeds, I had a 100% germination rate with HUMBOLT SEED ORG. Thanks HUMBOLDT SEEDS ORG, This was my first online seeds buying and was really nervous. In India it’s very difficult to buy seeds online due to customs and checking but decided to take risk and had trust on HUMBOLT SEEDS, The package came very fast and stealth and provided with genuine Tracking, shipped the very next day of order. HUMBOLDT SEED ORG has a beautiful seeds packing in wooden plank and glass tube just fall in love by looking. It’s hard to unbox it though ;-) About The strain Master Kush, It’s hard not to fall in love with Master Kush once its effects find their way to your consciousness. It slowly creeps up on you… so be careful or you may end up really, really baked. Super nice strain. Makes me really creative yet sleepy at the same time. Really good if you need to just chill out and focus on the task at hand. Very sturdy genetics have very dank node structure super green lush hashy leafs. 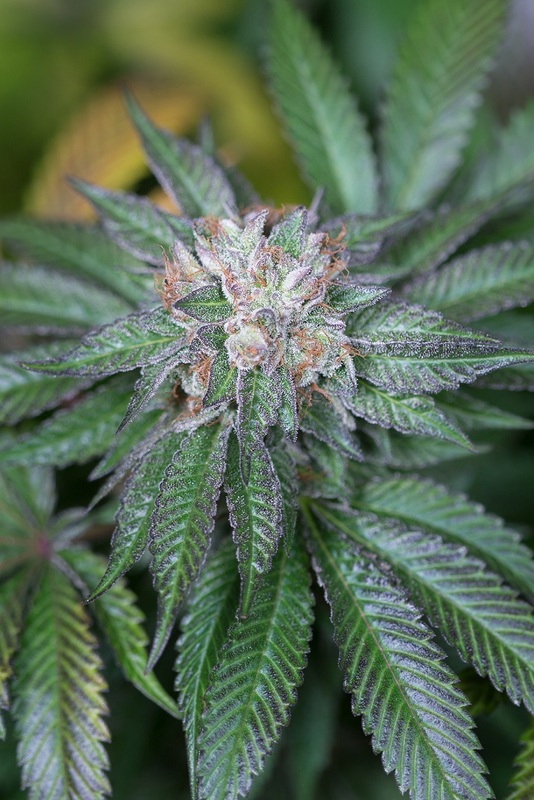 Great plant, great effects, just great overall…Great Work HUMBOLDT will order more soon. Second season running the master, its fat buds and intense resin production will surely make it a staple in my indica collection. In the ground may 20th pulled October 18th at 8.5 weeks from first sign in southeastern ontario Admittedly about 10 days early without any complaints. Humboldt's juicy seeds large selection humble operators and imcredible dealers make them second to none in my opinion. Long story short...It was a freeby from another seed bank. Germed in july pulled the first week of October. My pheno had nice big white/purple bluish buds. A great smoke so I'm running these next!!! Super dank smoke!!! Excellent high quality seeds that I had a 100% germination rate with.